I’m always on the lookout for simple apps that do one thing well, and was pleasantly surprised when I came across Slimvoice, a new free invoicing tool. I always procrastinate when it comes to billing clients because it usually takes longer than I’d like. Slimvoice does away with unnecessary extras and offers a quick, painless way to create and send PDF invoices, and accept payments too. Once you sign up, you can add clients in the recipients section, with physical and email addresses. 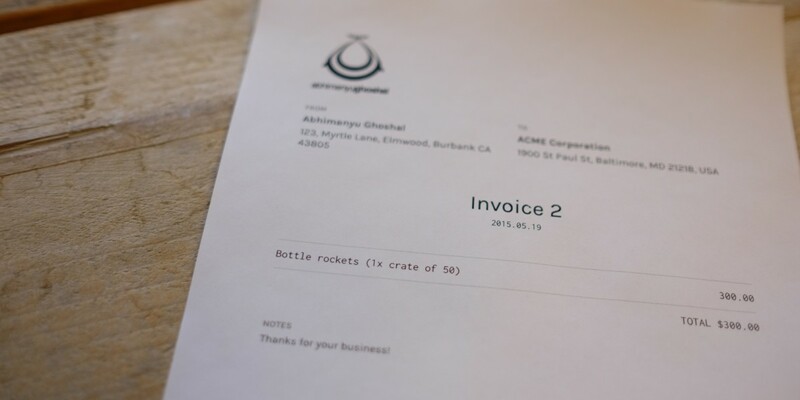 To create an invoice, simply add details like a description, billable items and costs and you’re done. You can then download a PDF to print or send manually, or email the invoice to your client via Slimvoice (they’ll get a summary and a PDF). If you’re in the US, you can connect your Stripe account to accept payments. Standard Stripe fees of 2.9 percent + 30¢ per transaction apply, along with Slimvoice’s flat fee of $1 per invoice. The Web app also lets you export your data as a JSON file for future reference, which is neat — but perhaps a CSV would’ve been more universally readable. I love Slimvoice’s look and feel — the app is very well designed, requires fewer clicks than other apps to save information and features lovely animations. My only gripe is that it only supports a handful of currencies, and Indian Rupees isn’t on the list. I’ll stick with Invoiceable until that’s fixed, but once I see that ₹ symbol on Slimvoice, you can be sure I’ll switch in an instant.